Is it Time to Fire Your Accident Attorney in Casa Grande, AZ? There are many attorneys, like those at Cole And Leal, who are good at their jobs and work hard for their clients. However, there are some who give the whole industry a bad name with their poor work habits and unprofessional behavior. When you’re in the courtroom or working to collect compensation from an insurance company, you want an Accident Attorney in Casa Grande, AZ who will help you prevail. Here are a few signs that you may need to fire your attorney and hire someone else to represent you. Attorneys are busy people. However, they should still take the time to keep you abreast of the situation with your case. There many decisions that need to be made in regards to how you case proceeds and you need current information if you’re to make the right choices. If you attorney doesn’t contact you, return phone calls, or ignore your emails, then it’s probably time to replace the person. Poor communication skills are often a sign of poor time and task management. If the attorney is too unorganized to return a simple phone call, he or she may make other mistakes that could lead to an unfavorable outcome. Aggressiveness can be a good trait, particularly when the attorney is fighting to get the results you want. At the same time, bad behavior can actually derail your case. This is because negotiating effectively with the opposing attorney or insurance company or getting your side of the story heard by a judge depends partly on the attorney’s relationship is his or her peers. A bad working relationship with others can make it harder on you. Additionally, you should have to put up with someone who disrespects you, especially since you’re paying the attorney’s wages. If the person is just unbearable to deal with, find another Casa Grande Attorney to work with. There are a number of attorneys in the area, which means you can also find someone else to take over your case if things don’t work out with your existing Accident Attorney & Legal Services. 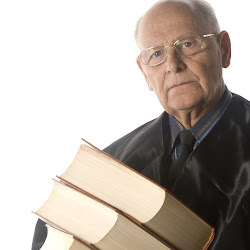 Be certain to vet the new attorney carefully to avoid making the same mistake twice.